When Clara is not wrangling her two small humans, she sews and draws and make things! 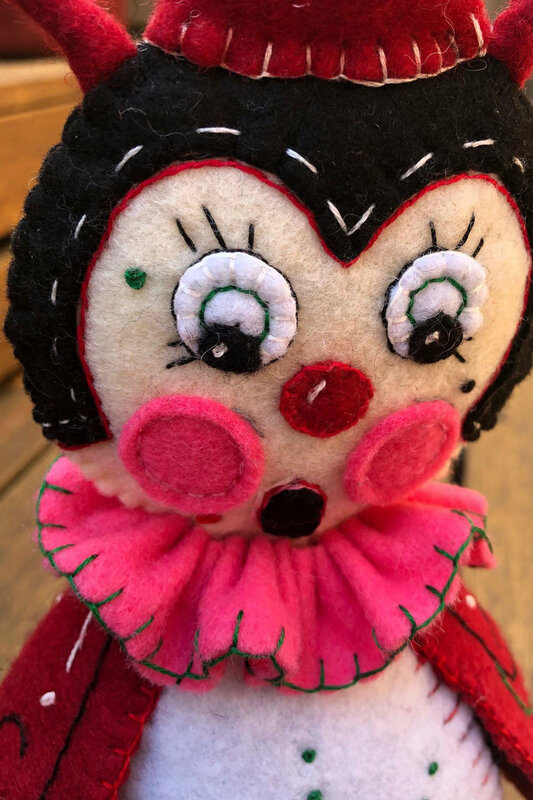 Her sweet Mom taught her how to embroider, and while she claims that her hand work will never be quite as delicate and perfect as Mom’s, she certainly enjoys making little embroidered ornaments and other plushie delights for the holidays. 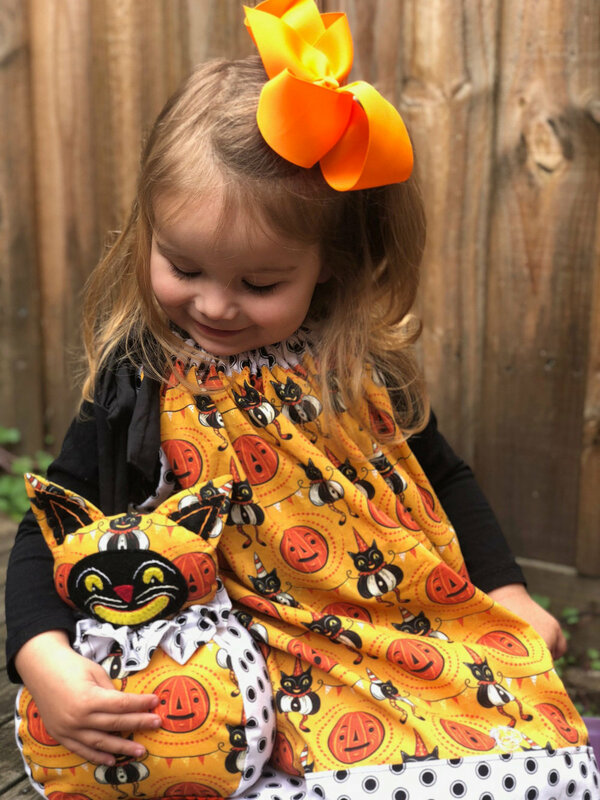 After posting the most adorable photo of her daughter with handmade, JPD-inspired, plushie black cat, and wearing a coordinating print from Johanna’s Spoonflower shop,…. well a creative match was made! "Elliott's Playground" is named for Clara’s adopted koala. After moving house from Chicago to Melbourne, she met Elliott through a koala rescue organization and quickly fell in love! Little sketches turned into paintings which have now been turned into a children's book, Elliott & Anastacia, with Guardian Angel Publishing. $1 from each sale of Elliott's Playground merchandise goes to the Australian Koala Foundation.